Prof. You was recently invited to become a member of AIChE Journal Consulting Editors Board. AIChE Journal editorial team made the invitation to acknowledge Prof. You’s expertise and stature as a prominent chemical engineering researcher. AIChE Journal is the flagship journal of American Institute of Chemical Engineers (AIChE). 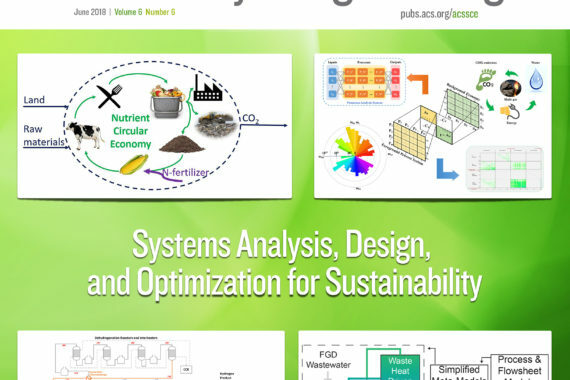 Besides, Prof. You joins the Editorial Board of ACS Sustainable Chemistry & Engineering, a high-impact journal published by American Chemical Society (ACS) on sustainability and green chemistry. Dajun Yue was recently selected to receive the 3M Fellowship for the next two years. Supported by a gift from 3M, a 3rd-year PhD student at McCormick is named “3M Fellow” every two years. The fellow is selected by 3M based on the candidate’s academic performance, research publications and research topics of relevance to 3M interests. Dajun is the only PhD student in the ChBE department that receives the 3M Fellowship this year. Congratulations, Dajun! 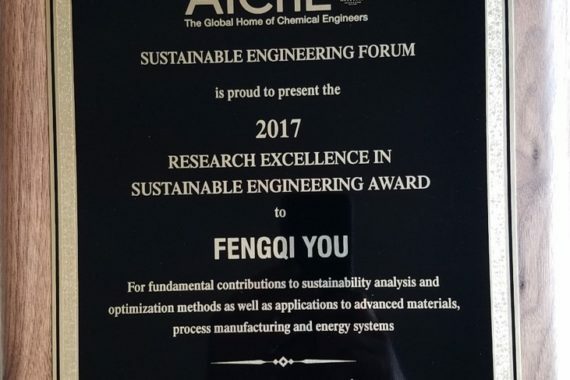 Fengqi You, who will join the ChBE faculty in September 2011, received the Ken Meyer Award for the best PhD thesis in Carnegie Mellon University in May 2010. The Ken Meyer Award is presented every year to a senior doctoral student who has demonstrated excellence in graduate research in chemical engineering. The faculty base their selection of the student on research quality, productivity, recognition, and impact.